Modern tanks or vessels used to store food and beverages are manufactured from stainless steel to mitigate the risk of contamination. 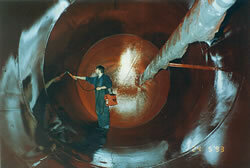 However, there are many carbon steel tanks are still in use and these are often lined with epoxy, phenolic or vitreous glass linings, and have a greater propensity for degradation. 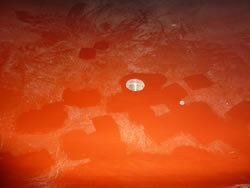 Defective tank linings are notoriously difficult to clean and tend to harbour bacterial infections. Replacing defective tanks can often be impractical and considerably expensive. Repairing and refurbishing your tank lining not only provides huge cost advantages but can extend the working life of your tank by a further thirty years, on average. 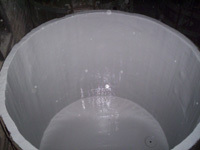 Lining a worn or corroded tank can save up to 90% of the cost of tank replacement. Areas most prone to damage in brewery tanks are the floors and lower walls adjacent to the man way entrance. 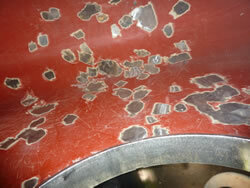 Older linings can blister, as points of underlying corrosion start to erupt. 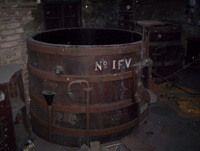 In extreme cases, tanks may be taken out of service, resulting in costly replacements, lost product and unfavourable downtime. Specialist Coatings provides a highly effective, rapid and permanent localised repair and full lining service. Before considering the cost and inconvenience of replacing or lining your entire tank, we strongly advise carrying out a full inspection to ascertain the scope of work required. Localised patch repairs may be possible to prolong the use of your brewery vessel. 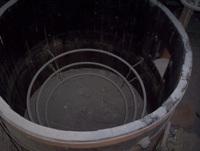 If left untreated, deep craters usually found on the tank floor can perforate the steel. These craters can be thoroughly cleaned and filled with a special paste that contains the same properties as our tank linings. The repaired areas will last the life of the tank. Our robust and durable tank linings use materials that are internationally approved for use in the food and beverage industry. 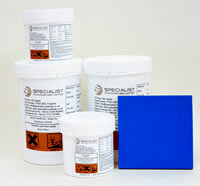 We can supply tank lining repair kits at a nominal cost. The tank lining repair kits enable localised repairs to be made to existing linings as and when required, and at the convenience of the brewery engineering department. 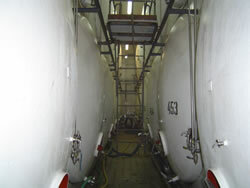 Resin lined tanks in breweries often become damaged during the cleaning process. 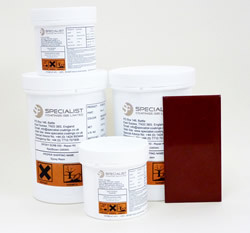 With correct surface preparation and application of materials carried out these repair kits will help to reduce the risk of bacterial growth and extend the practical working life of brewery process vessels /tanks by many years before any major relining works are required.